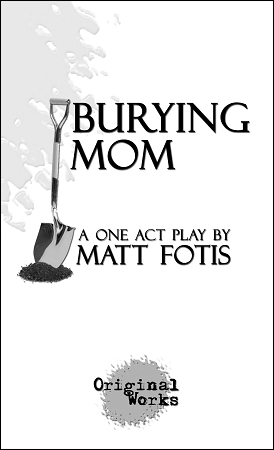 Synopsis: Bouncing between past and present, Paul is forced to negotiate the many layers of his relationship with his mom…or he can just bury her in the back yard. Paul’s journey to put his mother to rest takes him across time and space, where he meets a bevy of unique women who exemplify various aspects of his mother’s personality. Whether it be advice from his old high school guidance counselor turned cheap therapist, criticism gladly handed down from his annoyingly perfect sister, philosophy from a waitress with a passion for Rocky, or life lessons from his wake-obsessed grandmother one thing is certain – Paul’s life won’t ever be the same.